Happy Tuesday!! I'm getting back on the bloggity-blog train after an extended holiday weekend relaxing and swimming (because the only time that it's okay to be outside during an Arizona summer is when you're completely immersed in water...). Did everyone watch The Bachelorette? And now on to pretty much the best snack ever... fruit leather! It took me a couple tries to get this recipe right, but it was definitely worth it. The secret, my friends, is in the Silpat (more details below). This recipe takes some time, but the amount of fruit leather that you get can't be beaten... and, you'll know exactly what's in them - 100% fruit! 1. Begin by blending all of your fruit in a blender (I peeled the peaches and removed the pit first). 2. Next, stir your mixture in a sauce pan for about 10 minutes, over medium heat, until it starts to thicken (do not let it boil). Add your lemon juice. 3. Place your Silpat on a baking sheet and pour your mixture over (about 1/8-1/4 inch thick). 4. Bake at 175 degrees for 6-8 hours. My oven could not go this low, so I used the "warm" setting (it took me probably 9 hours to get the center done). 5. 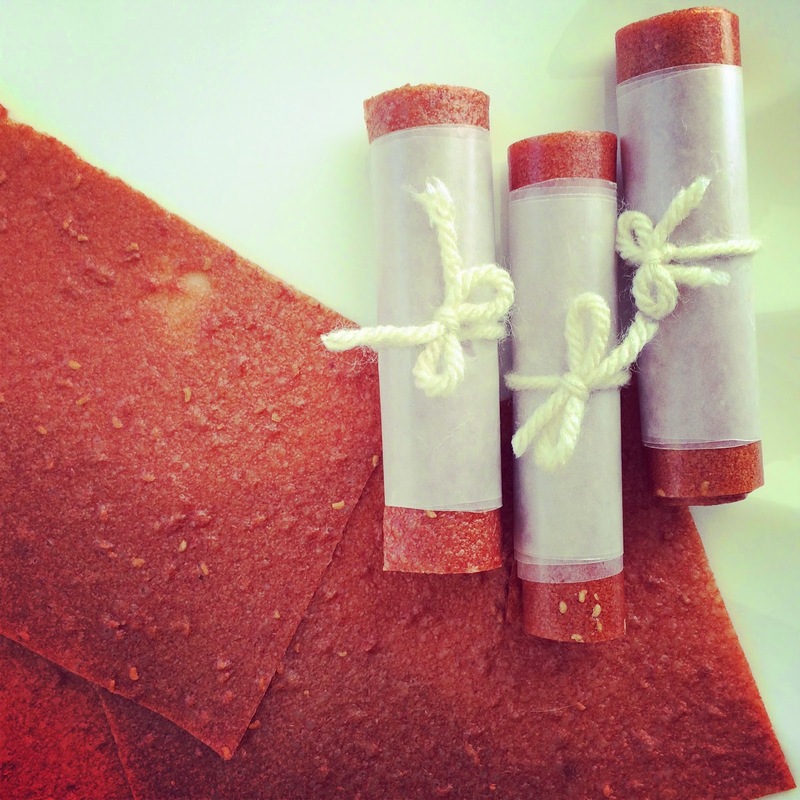 The fruit leather will be done cooking when it is no longer sticky. If you feel like it's almost done, keep a close eye on it - if you over bake for too long you'll end up with fruit chips! 6. When the fruit leather is done, peel from the Silpat, cool, and then cut into strips. I wrapped mine in wax paper to "package" the pieces until they were ready to be eaten. - Do not make your mixture too thin... it will be brittle and crack. I was surprised at how thick mine was to start and how much of it dehydrated. The first batch I made was so thin that I couldn't peel it off of the paper. - If you use a fruit with seeds, your seeds will be noticeable when it is done baking. This did not bother me, but if you use all berries, you may want to strain the liquid before baking. - The ends will likely dehydrate before the center, so make sure that when you're spreading the mixture on the baking sheet that you don't go skimpy on the edges. - Since the fruit leather takes so long to bake, I put mine in the oven before I went to bed, and it was almost ready when I woke up. - If you don't own (and do not want to buy) a Siplat (or something similar) you can try using parchment paper. I read a few recipes saying that this will work too. Linking up with Secret Blogger Club, Blog Hop, Tuesday's Table and Delicious Dish Tuesday. I have been craving anything fruity and chewy, so this would be a great snack! Sounds not so difficult to make too! Oh my gosh, this looks amazing! 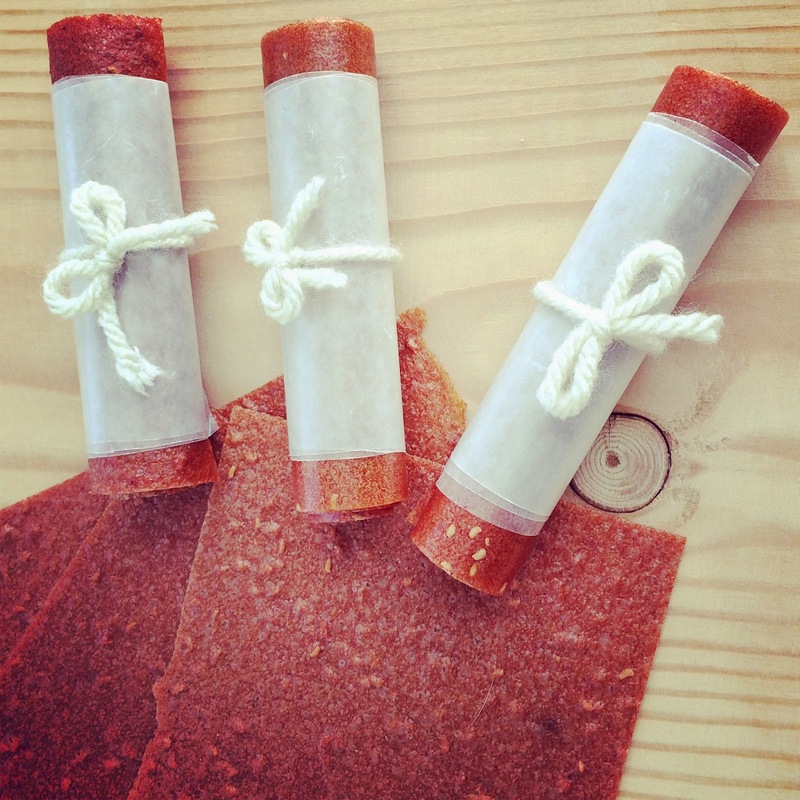 I love fruit leather & would love to try making this! This looks so tasty - it looks exactly like the kind I buy from Target and yours is probably 10x better for you! And there it is!!!! I need to invest in a Silpat. The parch paper didn't work out for me when I tried. I'm assuming you used fresh fruit, right? Yay for the secret to fruit strips!!! P.s. Where did you find your silpat? I'm definitely trying this!! SO much cheaper than buying fruit leather strips for 75 cents a piece! It looks so good, I always want to try all your recipes! I love that this is 100% fruit, a naturally sweet treat, love that! Love the Bachelorette! I'll have my thoughts up tomorrow... stop by. I googled Aaron Murray and found that he plays for the Kanas City Chiefs, but I still have no idea who he is. LOL. Thanks for the recipe. These look great! That looks so fancy... something to try though - yummy! I so want farmer boy to win.... but I don't see her picking him. He needs to be the next Bachelor!!! I'm rooting for Chris, too! Also, definitely trying this recipe. My husband and I try not to eat processed food, which is pretty hard with snacks. Thanks! This looks so good. I guess it'd be perfect to throw in the oven on a weekend and snack on later in the day. Will have to remember to try this at some point (like before SC peaches are no longer is season). yay! glad you nailed it! it seems simple enough with a few learned tricks! Yum! These look so good and of course they are pretty too! (no surprise there!) xo! That looks so good! But having the oven on for that long in this heat makes me think this is a winter activity! We've been spending a lot of time in the water too, but we're used to this weather- it's definitely a lot more bearable in the water though. Anyway, this looks so good and definitely something my kids would love to have. I may wait to make it until winter though, since having the oven on only long enough to make dinner is enough to heat the house up enough. I bookmarked this and as soon as I get my hands on a Siplat, I'm making it. Looks delish, healthy and so easy! This looks so delicious. I need to make this asap! Wow, this looks amazing! 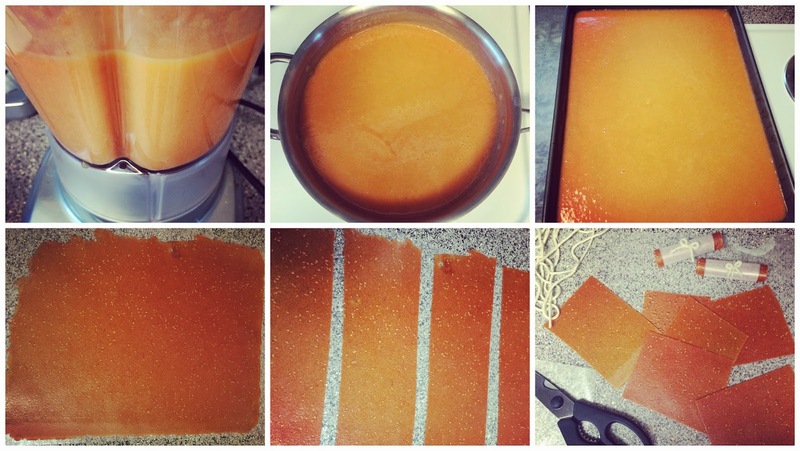 I'd love to make my own fruit leather, and who knew I could. I hope I could be successful making this. Thanks for sharing at DDT! This looks delicious! I definitely want to give it a try. Can you really use any fruit? Apples? Pears?